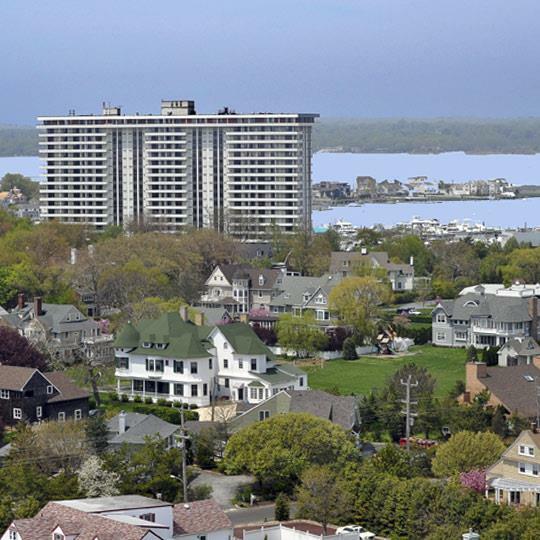 Club Tower is located in beautiful Monmouth Beach, a small, intimate Monmouth County shore community of approximately 2 square miles, of which nearly 1 square mile is water. Monmouth Beach has over two centuries of rich history and is bordered by both the Atlantic Ocean and the Shrewsbury River. While Monmouth Beach is a great town in itself for living or raising a family, it is the surrounding area that makes CCT’s locale truly extraordinary. Whatever you want, you will find it within a 30 to 45 minute drive. And you are an easy train, ferry or car ride to New York City. 222 units – standard 1 and 2 bedrooms with private balcony; some converted doubles with 3/4 bedrooms; penthouse suites. Golf – 7 Monmouth County and 7 additional public 18-hole golf courses. Top-flight musicians and vocalists appear year-round at local restaurants. Hwy 36 East to Ocean Avenue, Long Branch. Left on Ocean Ave to Beach Road, Monmouth Beach. Left on Beach Rd to West Street. Rt. on West Street to Channel Drive.